The keeping of hens was often a way for the women of the farm to earn a little pocket money for themselves. The handling of smaller livestock such as poultry was left to them, possibly owing to their smaller hands and greater delicacy of touch. Children could help with feeding, and collecting eggs, as well as helping by chopping kindling and collecting sticks to light fires. 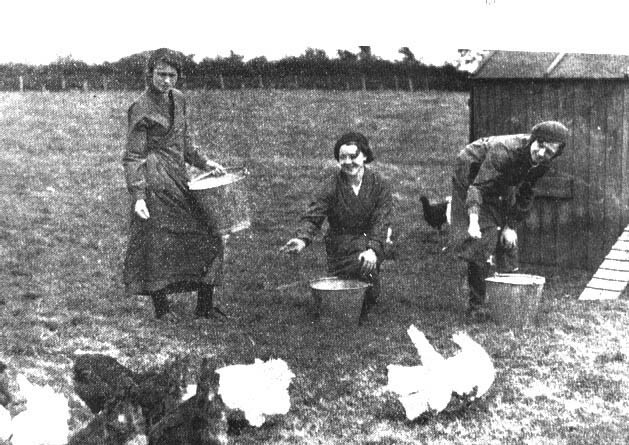 Students (left) at Newton Rigg College fed poultry as part of their agricultural studies in the 1930s. 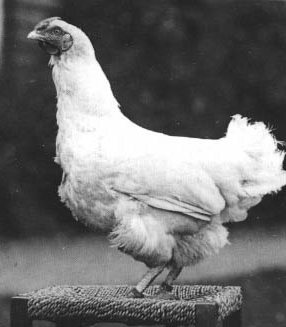 A white Wyandotte hen, champion in egg laying trials 1930-31. She laid 325 eggs in 365 days. Owned by Miss V Lewthwaite, Embleton, Cumbria.